The Grass Roots are a highly successful rock and roll group that consistently produced quality music in their heyday from 1966 to 1975. Although they never attained a number one hit on the charts, they were consistently in the top end of popular music in the turbulent rock music scene. Radio play was a big factor in their history. It was not easily tracked to properly reflect on the charts, in those years. They managed to be one of the top picks of disc jockeys and enjoyed frequent requests from listeners. From 1967 to 1972, The Grass Roots set a record for being on the Billboard charts 307 straight weeks. They are one of only nine bands that have charted twenty nine or more Top 100 Billboard singles. They have sold over twenty million records worldwide. They hold the all time attendance record for a one act, the US concert of 600,000 people on July 4th, 1982 in Washington, DC. They have appeared on over 50 national television shows. Many of their hits are still seeing heavy rotation on oldies stations to this day. They achieved one platinum album, two gold albums, thirteen gold singles and charted singles a total of twenty nine times. In their home state of California, they were rock and roll legends and enjoyed heavy rotation of their songs as the local heroes. They managed to consistently satisfy their listeners through several lineups of musicians, all producing a great sound to carry on the tradition. The Grass Roots benefited from outstanding production and recording techniques compliments of Dunhill Records and their producers such as Steve Barri. Their recordings stand up to the test of time. The Grass Roots story begins in the minds of two talented songwriters of the Los Angeles music scene. Steve Barri and P.F. Sloan were very prolific in writing songs in many genres of rock music. They worked for Dunhill Records, a new label headed by Lou Adler. Dunhill gave them the task of putting together a collection of songs so the record label could have some impact on the budding folk rock trend going on in the year 1965. The duo penned the song Where Were You When I Needed You and recorded it for release as a demo to several radio stations. Both Barri and Sloan took part in the recording along with some seasoned studio musicians at Dunhill. When the record company received some good feedback about the recording, they started a search to find a band to become The Grass Roots. An audition was held at the Whisky-A-Go-Go in San Francisco. A group called The Bedouins were selected to be The Grass Roots. The Bedouins were comprised of Denny Ellis on rhythm guitar, Willie Fulton on vocals and lead guitar, Joel Larson on drums and David Stensen on bass. They had all grown up in the San Francisco music scene and had won a recent Battle Of The Bands there. They were all under the age of 18 so their mothers had to sign their recording contracts. The record company had them come to Los Angeles to do some live performances and take part in the recording process. Out of the recording sessions came their first single penned by Bob Dylan called Mr. Jones (Ballad Of A Thin Man). The flip side was a fuzzy garage rocker penned by Barri Sloan titled You’re A Lonely Girl. The single was sent to several radio stations and became a regional hit. Upon issuing this single, Dunhill secured for themselves the legal group name of The Grass Roots. Previous to this, rock legend Arthur Lee of Love had used the name sporadically when his group played live gigs in the LA area. Dunhill continued to develop the group with many live performances and more recording. All the group members moved to LA and lived together in an apartment in Hollywood so they were close to the exploding music scene and studio. They took part in recording sessions that yielded a new version of Where Were You When I Needed You, some other Barri Sloan songs and some covers of recent songs by The Rolling Stones, Simon & Garfunkel and other songwriters. Dunhill started compiling an album of this material titled Where Were You When I Needed You in 1966. It had a simple photo cover that represented the record company’s take on folk rock music. There were no pictures of any group members on the release. The Grass Roots were busy playing many live performances and networking in the LA scene. The group felt that they wanted to go a different direction with their music. They asked to have more input in the recording process and song selection but this was not the formula that Dunhill wanted. 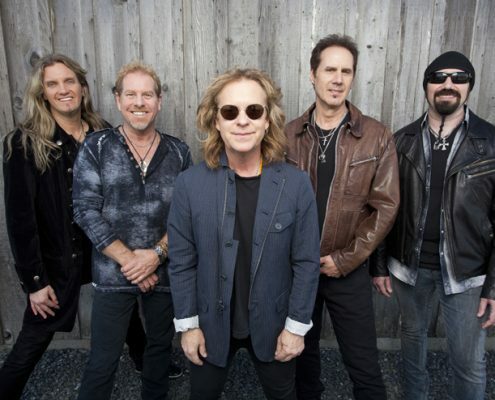 The group minus Larson decided to return to San Francisco and continued to play live performances until the record company opted to recruit other members in their place. Although the Where Were You When I Needed You single jumped up to #28 on the charts, the album failed to draw much attention at the time. It has since gained favor and has aged very well, being reissued several times on CD with unreleased bonus tracks. Larson was offered to recruit new members and continue as The Grass Roots but opted to work with The Byrds legend Gene Clark. This left Dunhill scrambling to find another group to be The Grass Roots in early 1967. A solution came in the form of a Los Angeles group called The 13th Floor. They had been a part of the local LA music scene since 1966 and wrote their own compositions as well as playing cover tunes. Creed Bratton played lead guitar, Rick Coonce played drums, Warren Entner sang and played rhythm guitar and Kenny Fukomoto sang and played bass. They sent a demo to Dunhill which received a favorable review. Unknown to the record company, Fukomoto had been drafted into the army. When the 13th Floor received news of a potential contract, they scrambled to find a replacement for their bass player. They went to the local musicians union and saw a posting by Rob Grill as a bass player and vocalist. Grill auditioned for the group and was immediately recruited. Dunhill offered the group an opportunity to take over The Grass Roots name and they went right into the recording studio and put together two songs for their first single release. They recorded a song that they had been playing called Let’s Live For Today and fuzzy garage rocker that Entner self composed titled Depressed Feeling as the flip side. A few days later they were on a flight to Alaska for their first live concert. Their iconic single started climbing the charts to #8 and it became a mantra for the youth of the day with its simple message and catchy hooks. The group recorded a third version of Where Were You When I Needed You and other Barri Sloan penned songs. They added many group composed songs to create their debut album titled Let’s Live For Today. It pictured all of the new group members on the cover and sold very well. A second hit song Things I Should Have Said charted at #28. The group learned the recording process and toured all over the country. The group composed material reflected the band growing as force in the LA music scene over the prior years. All four members collaborated to create some interesting music that reflected the times very well. The Grass Roots played at the Fantasy Fair and Magic Mountain Music Festival on Sunday June 11, 1967 in the “summer of love” as their top ten hit “Let’s Live For Today” was hitting the airwaves. This music festival is important because it occurred before the Monterey Pop Festival but did not have a movie to document it for the ages. They then began working on their second album to be released in 1968. The album was titled Feelings and featured many group composed songs and additional instrumentation. In addition, there were a few Sloan composed songs and one Barri Sloan composition. The title track actually went back to ’66 and The 13th Floor with drafted Fukomoto being the main composer of that song. Although not on the Feelings album, Midnight Confessions was released as a single in 1968 and shot up to #5 on the charts. This marked the highest chart position the group had achieved. It became another iconic hit of the times just as Let’s Live For Today did the previous year. It appeared on the Golden Grass greatest hits album later in 1968. Although Feelings did not sell to the record company’s expectations due to the absence of Midnight Confessions, it is a true high point of the groups many albums. It features intricate orchestration and a great example of what the band members were capable of as musicians and songwriters had the record company continued to allow them creative freedom. As it turned out, the groups output shifted away from folk rock and into a pop soul orientation based upon the horn arrangements in Midnight Confessions as the primary reason for the songs popularity. To some listeners the psychedelic organ sequence that is predominant throughout the song could have lead the group to a harder rock sound. That path was not taken by the decision makers. Sloan left Dunhill to pursue a solo career. Barri shifted to an emphasis on production. The Grass Roots played at the San Francisco Pop Festival on October 27, 1968 and then at the Los Angeles Pop Festival and Miami Pop Festival in December of that year as their top ten hit “Midnight Confessions” was hitting the airwaves. In 1969, a transitional album titled Lovin’ Things contained songs in the tradition of the group’s first two albums and others in the new pop soul realm. The title song, Bella Linda and The River Is Wide were all charting hits during the year and continued to cement the groups standing as hit makers. They were a main staple on the radio across the country. The group managed to get a few stand out group compositions into the mix of the album as well. Lovin’ Things featured two more Sloan composed songs and one by Barri Sloan. The group continued with heavy touring. Because of creative differences they lost a group member. Lead guitarist Bratton left in 1969 and was replaced by keyboardist and vocalist Dennis Provisor. His participation helped complete the groups shift to a pop soul orientation first to be heard on the album Leavin’ It All Behind late in ’69. They also enlisted in rotation the talents of Terry Furlong and Brian Naughton on lead guitar during this time. Fueled by the success of the hit single Wait A Million Years, the album also contained the hits Heaven Knows and a Provisor composition Walking Through The Country. The previous Barri Sloan compositions disappeared and were replaced by a new Dunhill song writing team, Price Walsh. The group continued adding a few group composed tunes to the mix as well. The vocal harmonies between Entner, Grill and Provisor are a definite highlight of this lineup. Coonce continued to add his unique drum style and self composed a song for the album. The Grass Roots played at Newport Pop Festival 1969 at Devonshire Downs which was a racetrack at the time but now is part of the North Campus for California State University at Northridge. They played on Sunday June 22 which was the final day of the festival as their top twenty hit “Wait A Million Years” was hitting the airwaves. In Canada, they played at the Vancouver Pop Festival at the Paradise Valley Resort in British Columbia in August 1969. In the years of 1970 and 1971, the group did not issue a new album other than a greatest hits or single flip side package. They had some big hit singles to fuel this approach. Price Walsh gave them Baby Hold On and Temptation Eyes. Other songwriters gave them Sooner Or Later and Two Divided By Love. They issued More Golden Grass, a flip side and hit compilation and the mighty 16 Greatest Hits, that is still in print since 1971. Many Grass Roots fans were first exposed to their music because of the high availability of this release. In 1971, Coonce, Furlong, Naughton and Provisor left the group. This ended the era of three part harmonies the group had produced since 1969. They were replaced by original Grass Root Joel Larson returning on drums. He brought with him the experience of working with Gene Clark, The Turtles, The Merry-Go-Round and Lee Michaels. Other new members Reed Kailing on lead guitar and Virgil Weber on keyboards were seasoned musicians. The first album to their credit is 1972’s Move Along which was a transitional album similar to Lovin’ Things. The primary non group song writing of Price Walsh was joined by the competing song writing duo of Lambert Potter. 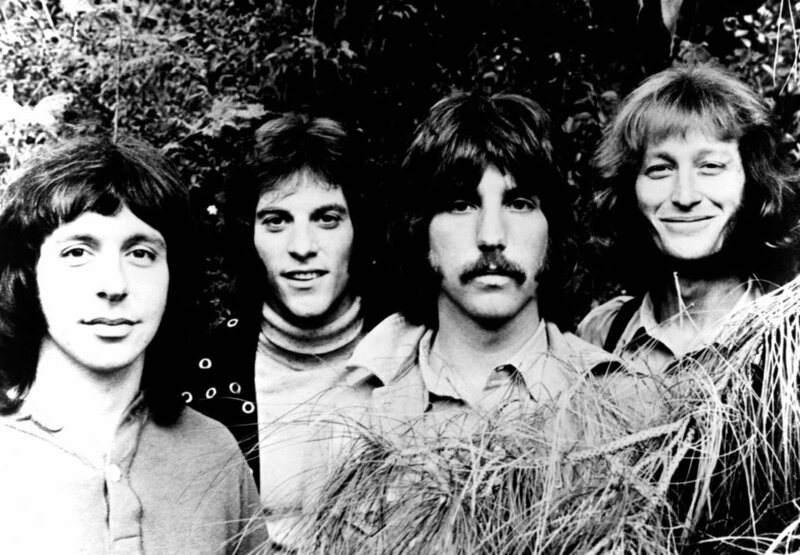 The Grass Roots continued with their winning formula and had remnants of the former band’s singing and song writing ability. They scored hits with Glory Bound and The Runway. This album is a high production affair compliments of Barri near his zenith as producer. In 1973, the group hit the charts with Love Is What You Make It and produced an album called Alotta’ Mileage. A departure from the usual was the album cover that simply pictured five pairs of worn shoes. This was reminiscing of the Where Were You When I Needed You minimalist cover in ‘66. The album showcased the group in a new way and the production techniques are a little more down to earth. There is quite a bit of acoustic guitar such as on the lead off song Where There’s Smoke There’s Fire and some solid musicianship throughout. This is the last album with Entner and serves as a swan song to the unique two part vocal harmonies with Grill since 1967. He retired as a musician and has continued as a successful band manager of heavy metal rock groups up to the present day. He manages Angel, Quiet Riot, Faith No More and others. In addition, Kailing and Weber left the group. This was the last issue on the ABC Dunhill label. During the last flurry of single releases, the record label issued two A sides that never appeared on any albums titled We Can’t Dance To Your Music and Stealin’ Love (In The Night). These are an interesting footnote to The Grass Roots Dunhill years. In 1974, Grill re-enlisted veteran member Provisor and recruited Reggie Knighton on lead guitar to join with Larson and himself. 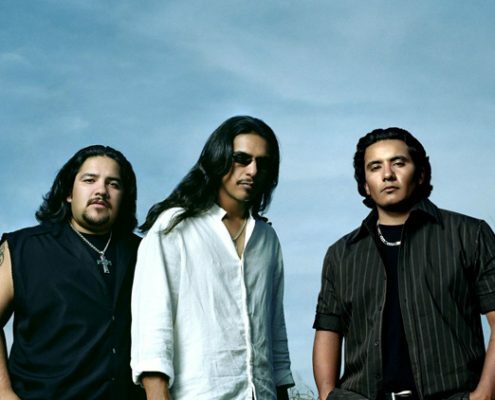 They hit the charts with the song Mamacita which rekindled The Grass Roots sound in many ways. In 1975, they issued an album with The Grass Roots logo on the graphic cover depicting a tree with roots and layers of geological earth. The self titled release contained compositions from Randy Newman, Carol King, Mann Weil and other notables. Lambert Potter continued in their song writing for the group as well as providing their new record label called Haven. There was one Provisor composition appropriately titled The Last Time Around. After a three year pause in new recordings, in 1978 Grill & Provisor issued a compilation of newly recorded hit songs titled 14 Greatest. At the prompting of several members of Fleetwood Mac, Grill produced a solo album titled Uprooted the next year in 1979. The album featured several Grill and Provisor compositions. In 1982, Grill reformed The Grass Roots with Ralph Gilmore on drums, Charles Judge on keyboards and Terry Oubre on lead guitar. They produced an album titled Powers Of The Night. It featured several Grill compositions. In 2000, The Grass Roots produced an album that documented their live performances titled Live At Last. Along with Grill, the group is comprised of Joe Dougherty on drums, Dusty Hanvey on lead guitar and Larry Nelson on keyboards. This is the current group line up that has frequently performed live concerts to the present day. 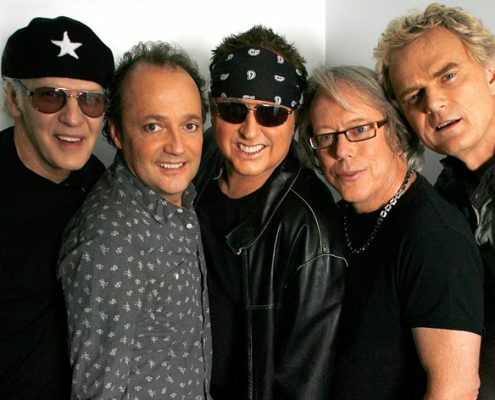 The album features several hit songs that the group turned down back in their heyday, giving it a surprising twist. In 2001, Grill added his vocals to a string quartet playing all of The Grass Roots big hits titled Symphonic Hits. 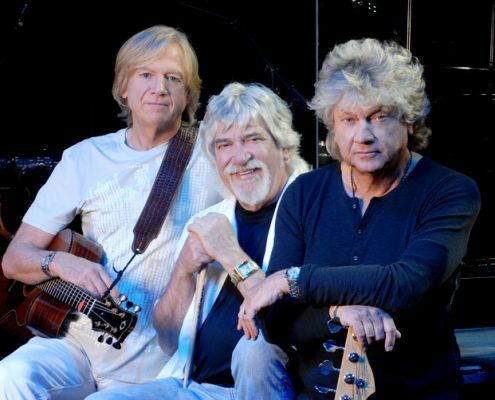 The Grass Roots for the past 22 years, Dougherty, Grill, Hanvey and Nelson produced an album that chronicles their fourteen Top 40 Billboard hits titled Live Gold in 2008. In that same year, Mark Dawson joined the group on lead vocals and bass guitar on a as needed basis. In 2010, he became a regular player as Rob Grill currently makes special appearances with the group. Since the disbanding of the original group in 1975, The Grass Roots have been seen in thousands of concerts across the country almost seamlessly to the present day. Rob Grill has been the guiding light in the continued exposure of The Grass Roots music to old and new listeners alike. Since 1967, he has weathered the trial and tribulations of the music business and continues to lead the group into the new millennium. He has been and continues to be the common thread for the positive output that the group has given music listeners around the world. He has done this for over forty years and is still going strong. This is quite an accomplishment in any record book. This serves as a testament to a man who is a top level vocalist, songwriter, guitarist, manager and producer. Through his many talents, he has gained the respect of his peers and the admiration of music listeners around the globe.